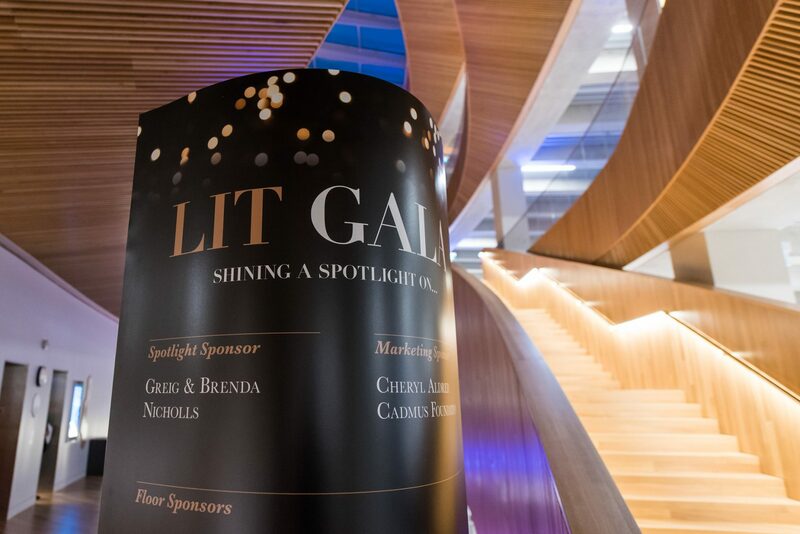 "Hundreds of Calgarians dressed to impress and celebrate Calgary’s greatest cultural landmark at the Lit Gala this past weekend. 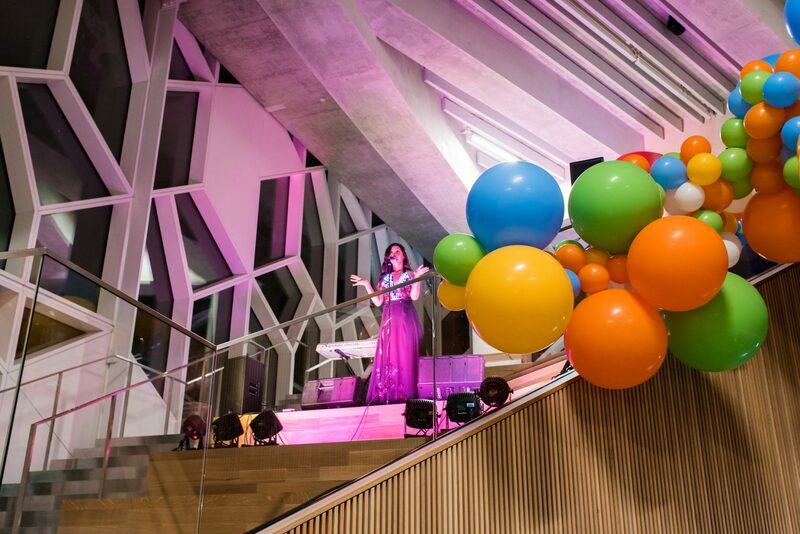 This was a truly once-in-a-lifetime event held at the new Central Library to usher in a new era for our city for generations to come. 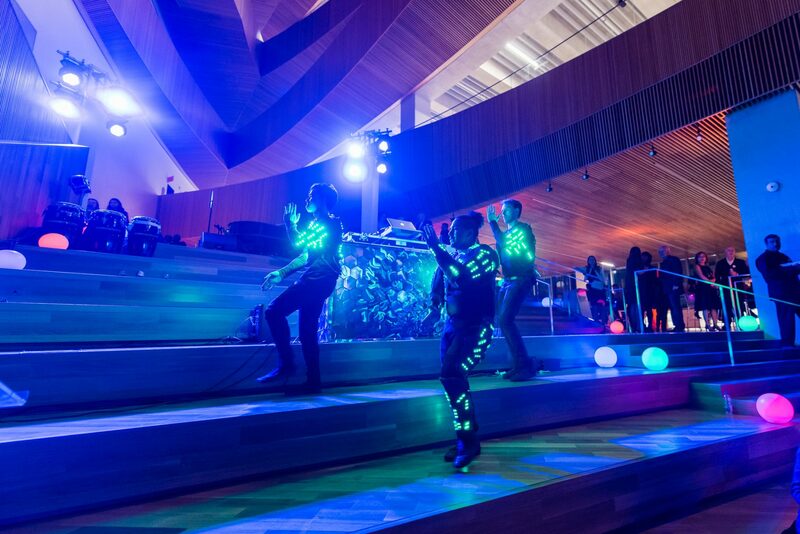 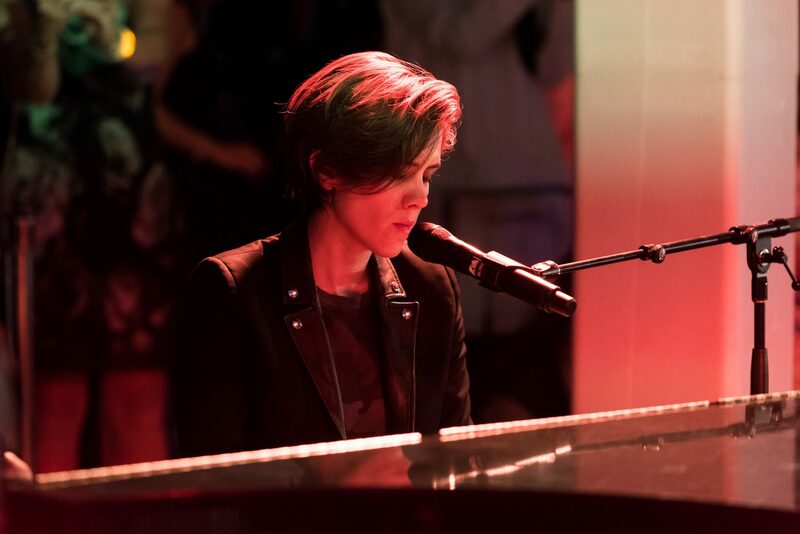 The Calgary Public Library Foundation was honoured to have cultural disruptors at the event to help celebrate this momentous occasion including Craig Dykers, lead architect of the new Central Library, and Tegan and Sara, musicians and born and bred Calgarians. 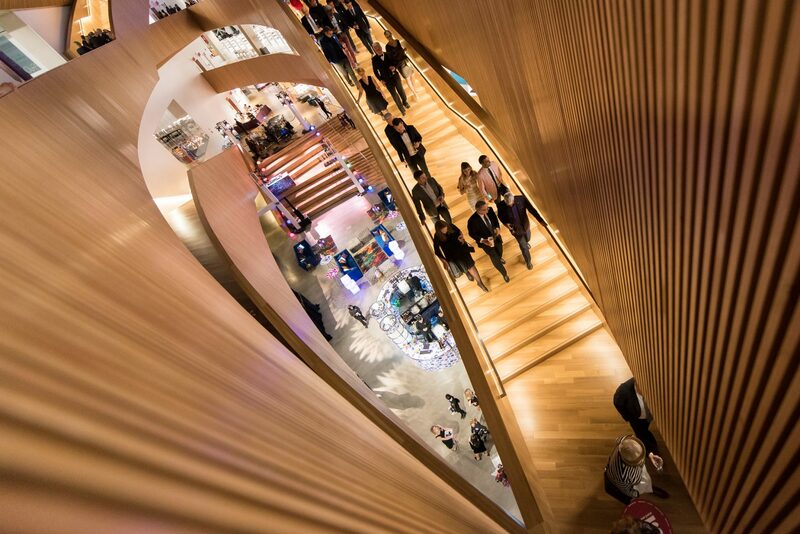 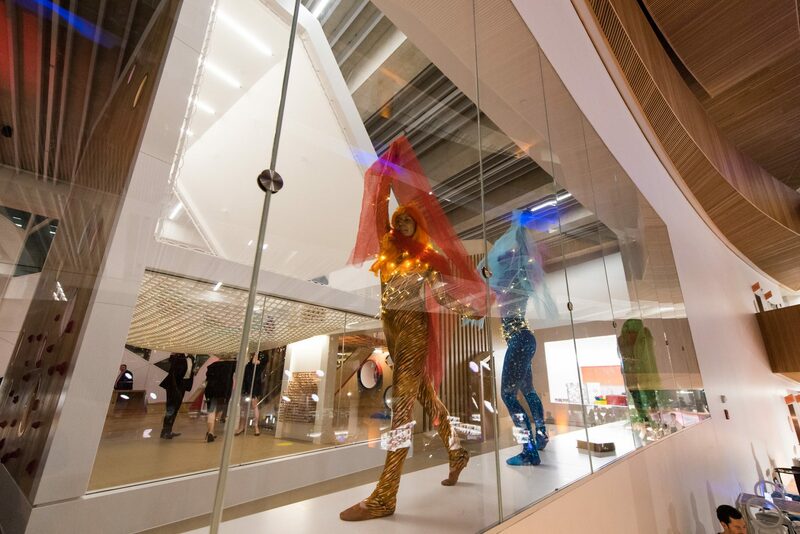 Funds raised from this event will support a Spotlight Speaker Series at the new Central Library, bringing in thought leaders from an array of cultures and disciplines to share and explore their ideas with Calgarians. 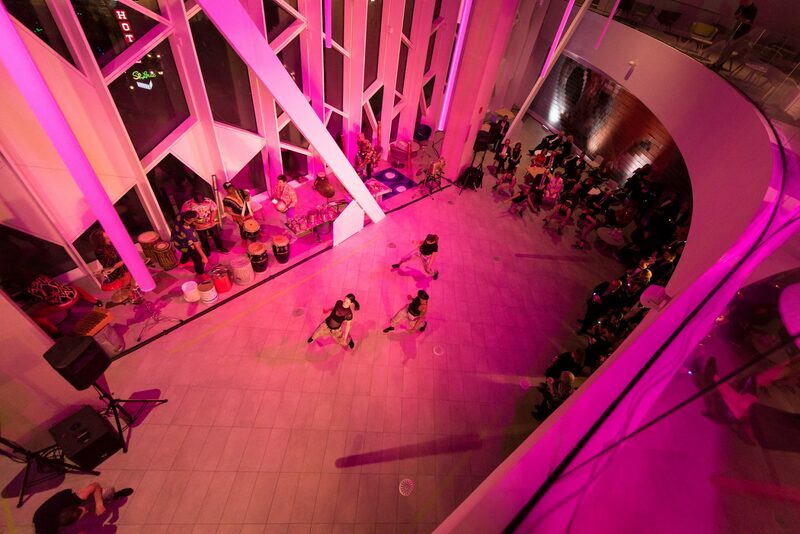 This spectacular event would not be possible without the generous support of donors and sponsors. 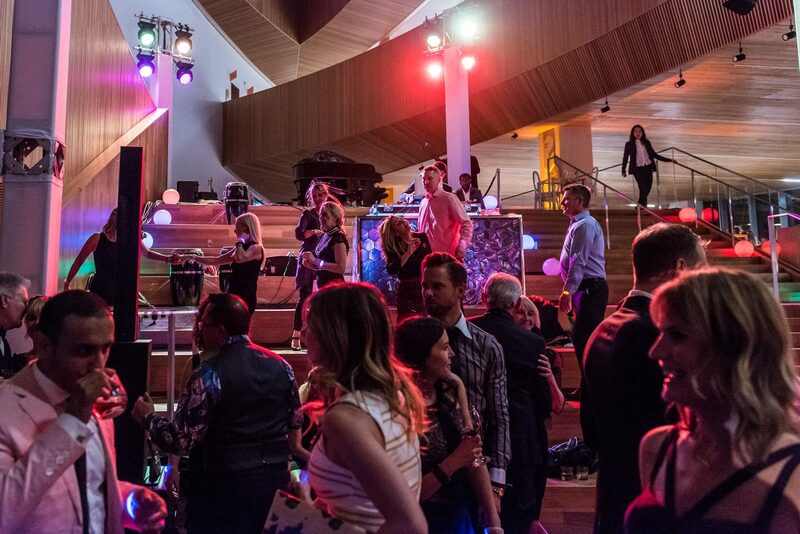 Calgarians’ commitment to providing accessible programs and services for all is truly inspiring." 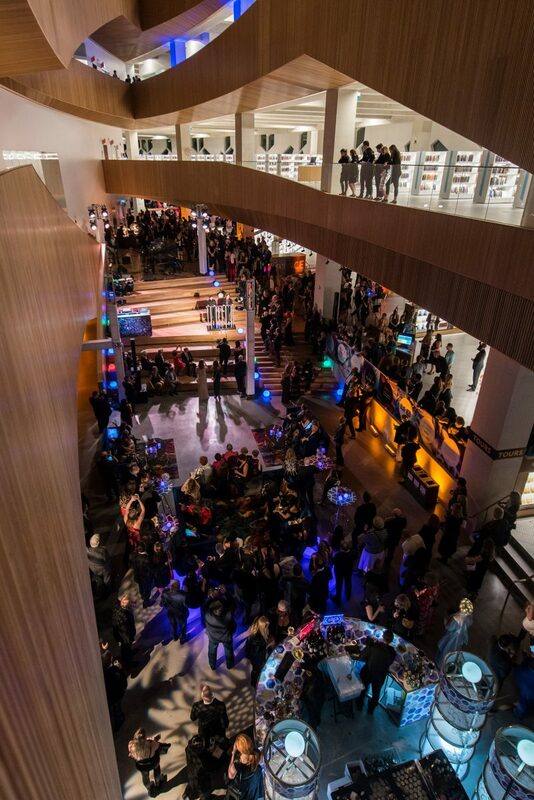 The new Central Library is Calgary Public Library’s flagship location, newly erected in the city’s vibrant East Village neighborhood. 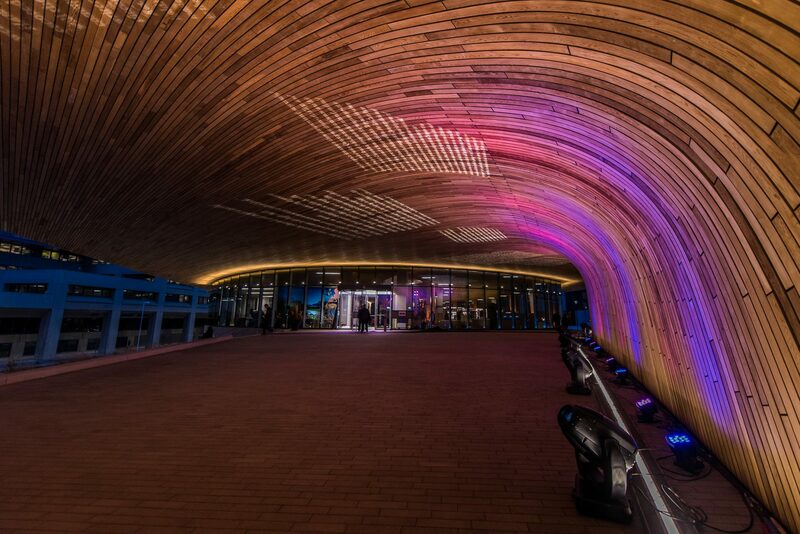 With yearly visits of 1.1 million and growing, the new building provides not only more space and architecturally impressive design, but also increased programming, better access to technology, and improved community spaces, all designed to function as a community hub, and foster innovation and collaboration. 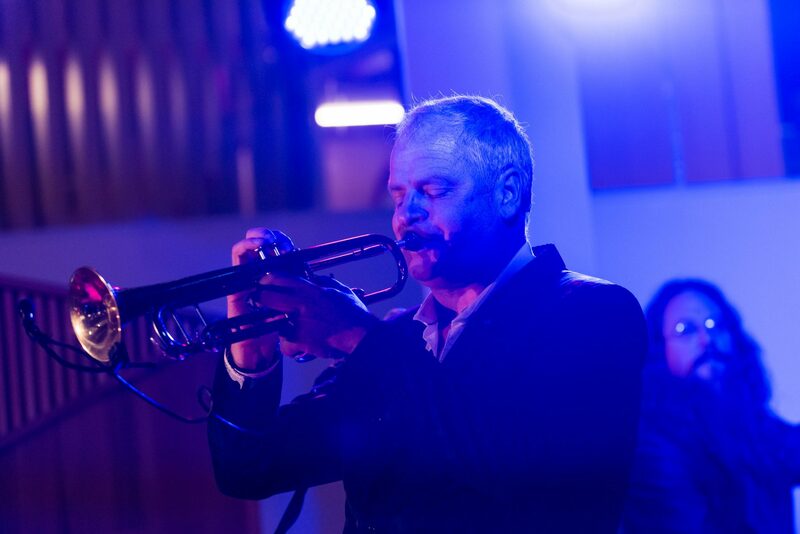 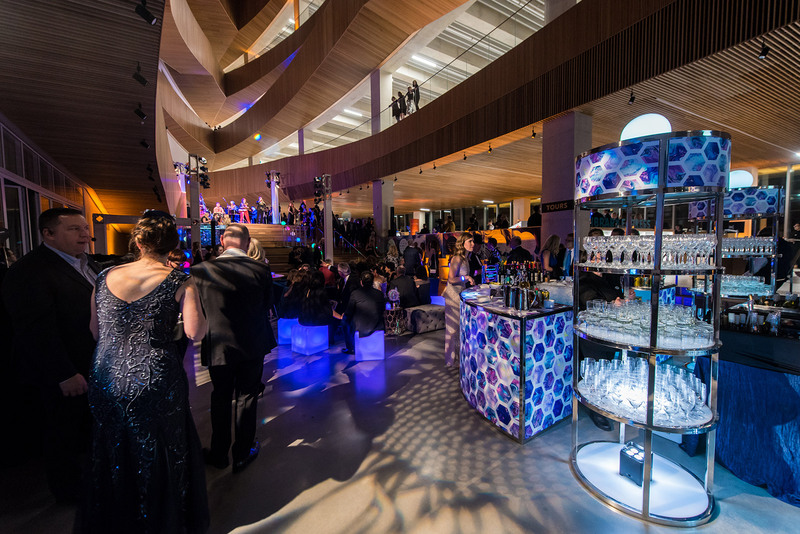 Lit Gala took place the night after the new Central Library officially opened its doors to the public – a grand celebration worthy of the momentous occasion, and an important fundraiser to further the vision for this groundbreaking new Library. 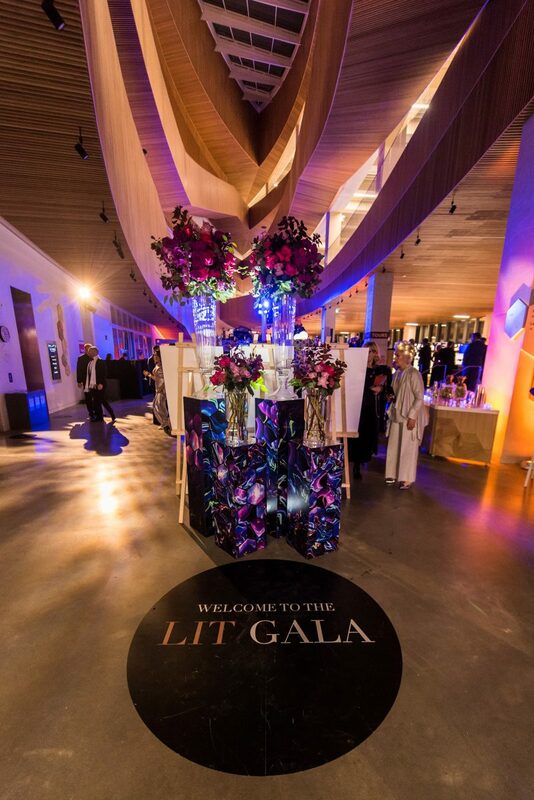 As a high-end gala event, Lit Gala needed to feel luxurious and impressive; as the introduction to a new library filled with literature and art, in a building that is itself a work of art, the design needed to also be progressive, conceptual, and creative to the point of disrupting expectations. 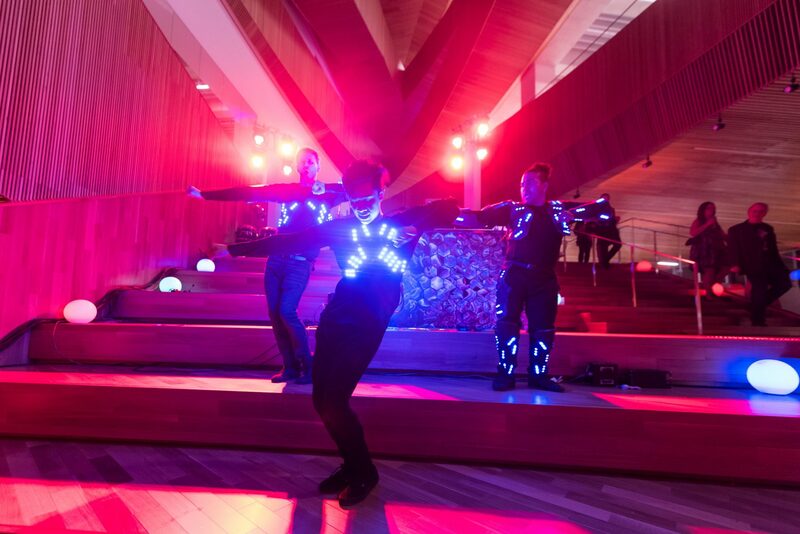 The theme for the gala evolved around the concept of illumination in relation to learning, progress, and discovery; of moving from darkness toward light. 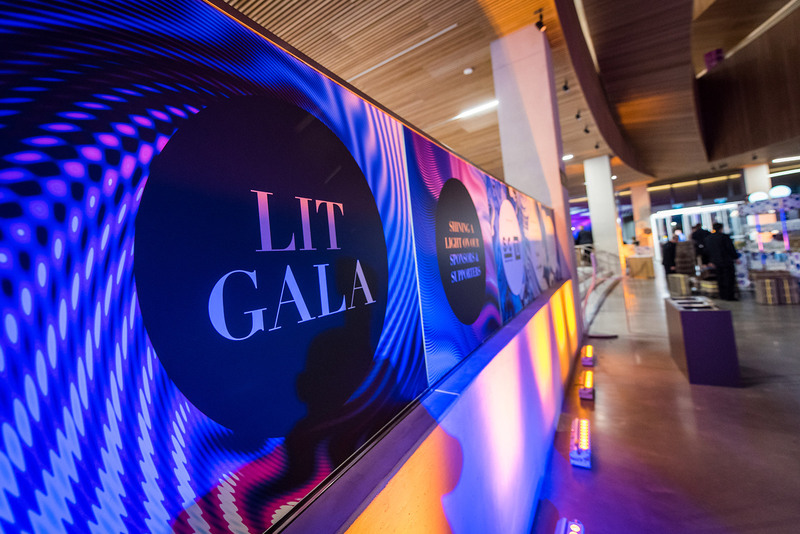 “Lit” also serves as a short form of “literature”, lending a clever dual meaning to the theme. 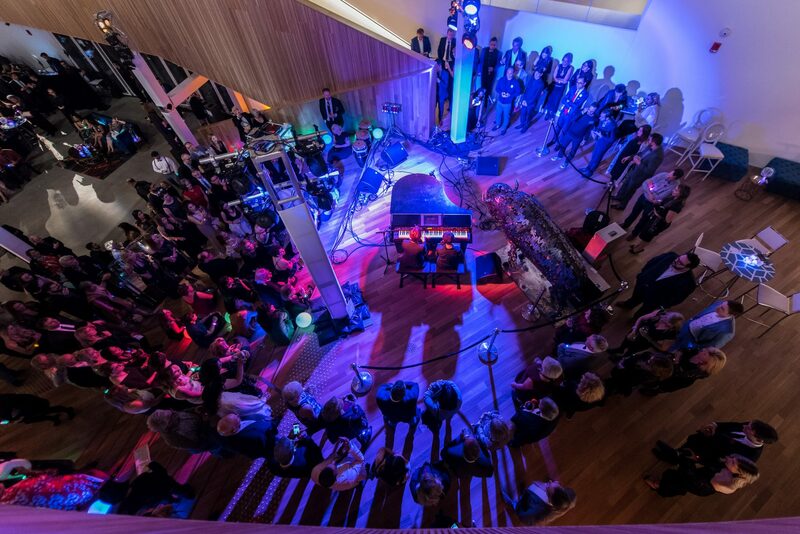 The evening’s theme was evident and immersive from the moment of arrival, where LED orbs lined the staircase up to the building’s entrance. 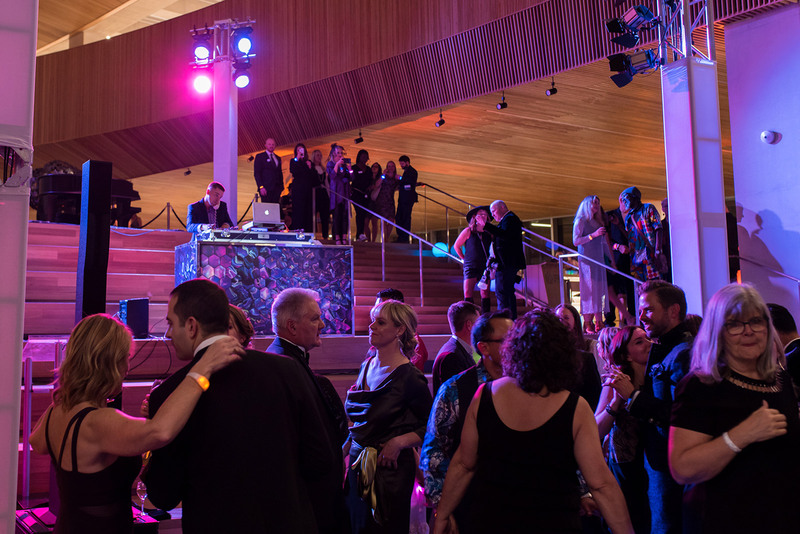 Once on the landing, guests walked the purple carpet while projections of literary quotations moved slowly up the wooden exterior of the Library. 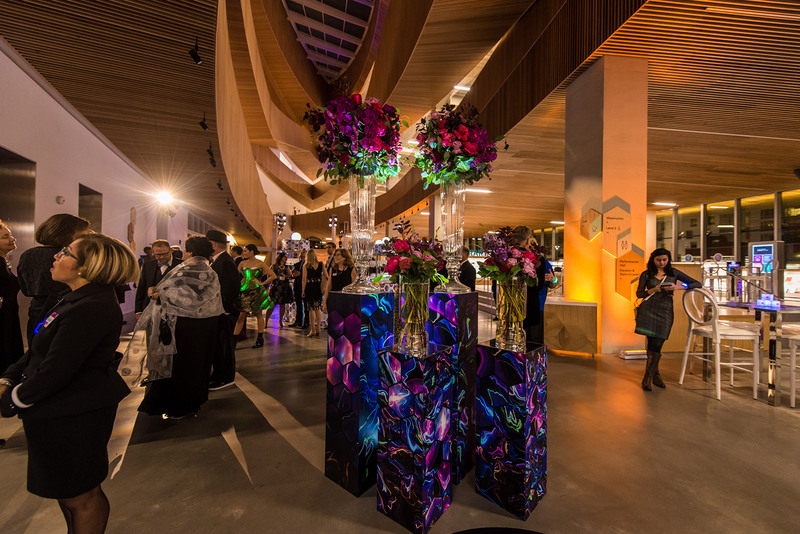 Inside, the Shaikh Family Welcome Gallery was transformed with bold, colourful, and unusual décor, much of which was glowing throughout the space. 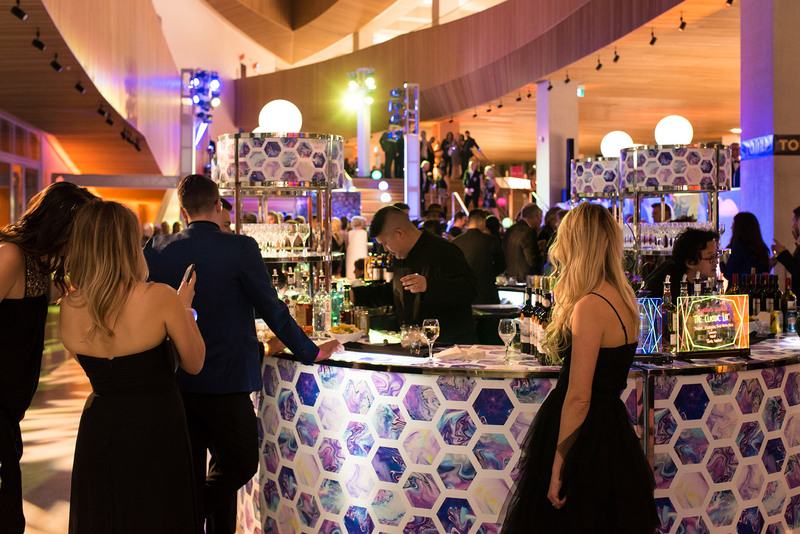 Geometric shapes, playing off of the Library’s hexagonal-paneled exterior, were incorporated throughout the design in everything from LED light sculptures and centrepieces, to bars and tables. 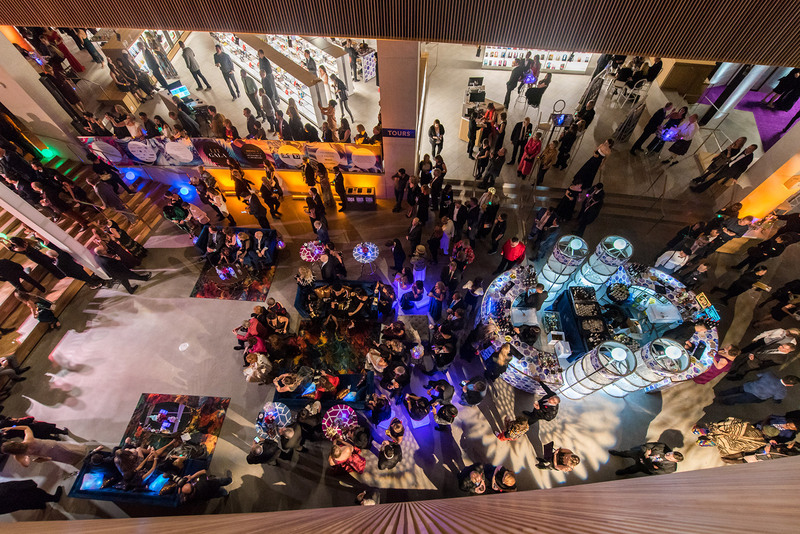 Soft velvet, sparkling sequins, and gleaming mixed metals brought texture and luxury to the spaces, and large illuminated light boxes featuring pages from some of literature’s most popular and impactful works gave guests an opportunity to interact with books in an entirely new way. 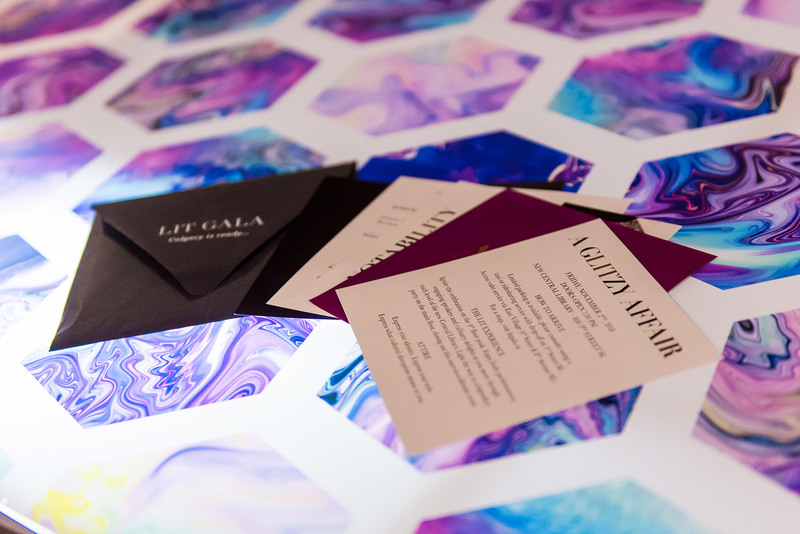 Every aspect of Lit Gala was designed to awe and delight; to challenge guests’ expectations of what a gala would be and invite them to engage in the experience. 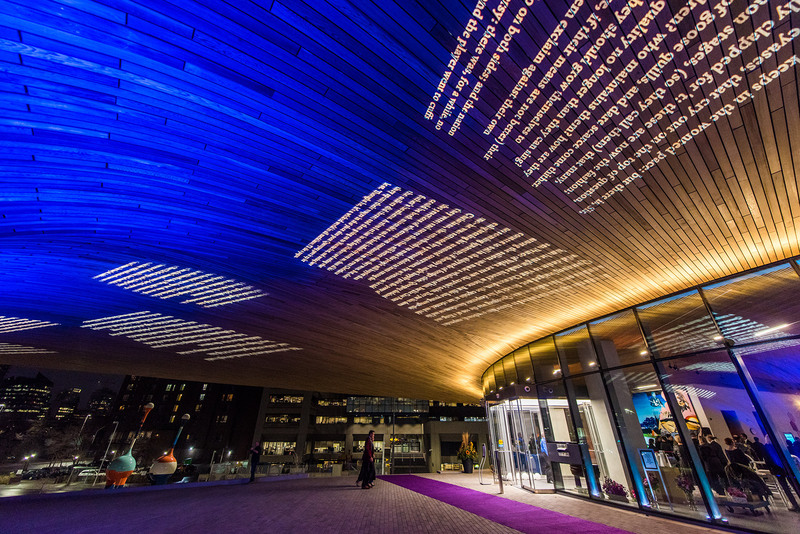 Oversized and bold elements, rich and moving colours, and dramatic and unusual lighting created both mystery and illumination, knowledge and wonder, curiosity and satisfaction – all of which, we’d say, sounds very much like a great book.